According to court records, plaintiff was 22-years-old – of the legal drinking age – five years ago when he and his friend drank alcohol and then proceeded to ride their dirt bikes in a field near their home. While engaging in this, the two crashed. Plaintiff suffered serious injuries. It was ascertained that his blood-alcohol level shortly after the crash was almost nearly twice the legal limit for use of an off-road vehicle in that state. Plaintiff was insured by defendant life insurance company. He submitted a medical claim form shortly after the crash, but insurer promptly denied coverage. The insurer cited a policy exclusion for injuries stemming from illegal use of alcohol. Plaintiff ran through all his administrative appeals, as the policy required, before filing a complaint in district court. He argued there was a difference between “illegal use of alcohol” and illegal post-consumption conduct, such as drunk driving. In other words, what was illegal about plaintiff’s conduct was not the fact that he drank alcohol, but rather that he was operating a dirt bike after drinking the booze. The district court agreed, ordering the insurer to cover the cost of the medical bills. Insurer appealed. In its review, the federal appeals court notes the policy did not define the term “use,” so interpretation was left to its ordinary meaning. When read in this context, plaintiff’s conduct was not an illegal use of alcohol. There was no law or court order that banned plaintiff from consuming alcohol, for his age or any other reason. 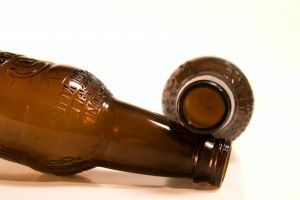 Insurer argued the word “use” should be interpreted to mean “under the influence,” but that definition is simply too broad, the court ruled. Had the insurer intended to disclaim injuries resulting from an insured being under the influence of something, the court ruled, it should have specified that exactly. 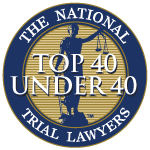 Notably, our injury attorneys in Fort Myers saw that the insurer did not argue that “illegal use of alcohol” should be construed as “driving under the influence.” Rather, the company argued illegal use of alcohol would exclude things like injuries sustained in misdemeanor bar fights or falling down drunk while at one’s residence. Further, plaintiff had plead guilty to the offense of illegal use of a motor vehicle – not illegal use of alcohol. This stipulation is important, the court ruled, and thus the insurer should be compelled to pay the medical bills.